Inspiration: I get my inspiration everywhere. I am always thinking about new set ups and new combinations. I have recently started knitting and crocheting again, so I get a lot of my inspiration from local yarn stores. I go there and could spend hours just looking around at the yarn and imagining the tiny little hats and blankets I can make for my newborn sessions. 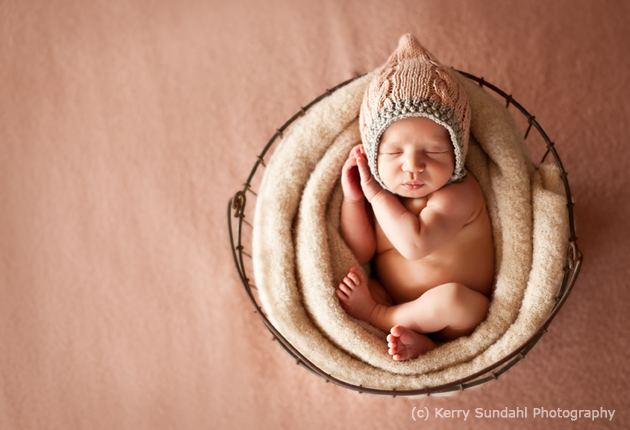 Favorite Element: I like to keep my newborn photography very simple. I want the baby to be the center of attention. 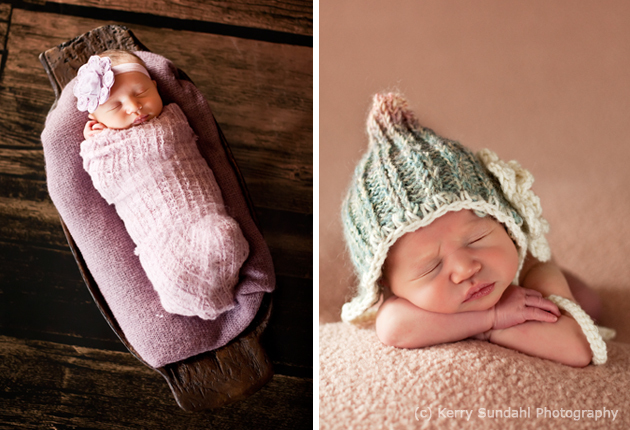 I love to use little hats and textured blankets to add depth to my photographs. 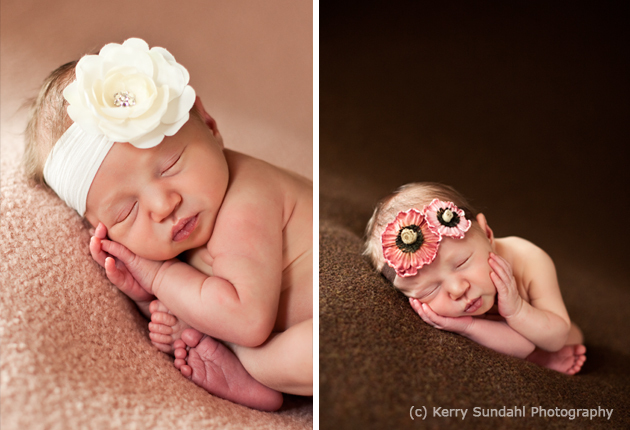 Biggest Challenge: I am an on location, natural light newborn photographer. My biggest challenge is figuring out how to best use the window light in my clients homes. I have shot in some really crazy places! One of my recent shoots I crawled under the Dad’s desk to shoot because the best lighting was in the families’ small office. 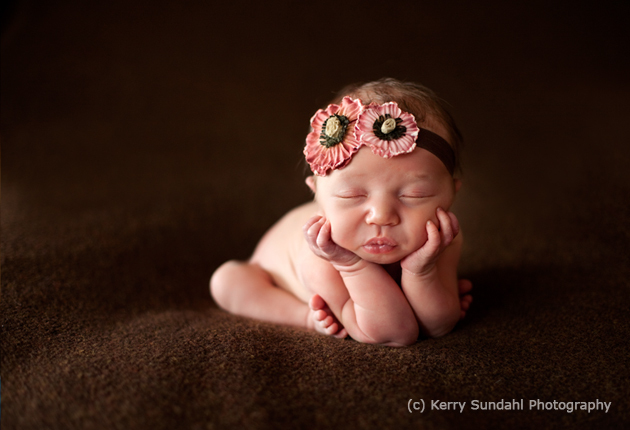 Photographer’s final words: I adore newborn photography. The first days go by so fast. That tiny little newborn phase is gone in the blink of an eye. I love being able to capture those tiny details on camera. 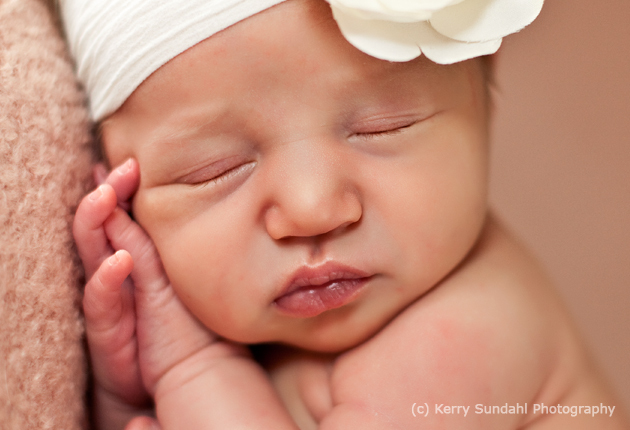 I treasure the newborn photographs I have of my own children. I love being able to provide my clients with photographs that forever capture those first precious days. Gorgeous. I’m a big fan of your work. Thanks for sharing. Kerry – these are beautiful! You have an amazing talent. I’m always so in love with every picture, they are truly a treasure!! Kerry, I love your work. You’re amazing with newborns. Thank you for the inspiration! Such beautiful work! Great inspiration, thank you for sharing! Kerry’s work is very inspiring, love the simplicity! !